DevLearn.mobi is a fun little experiment in mLearning. For this experiment I've used a web service called winksite.com. Its awesome! And actually what makes it so awesome is that its a fully functioning social/community website. Its not just a couple web pages with text, you can actually connect with other people that are "members". So get signed up and help me test this crazy thing. Of course I've tried it on my iPhone, but I can't wait to hear about what it looks like on other devices. Please let me know. My favorite new technology is QR CODES. Apparently these have REALLY taken off in Japan...but we Americans still haven't caught on yet. Basically its a great way to connect the physical world with the digital world via your cell phone(camera and software equipped). 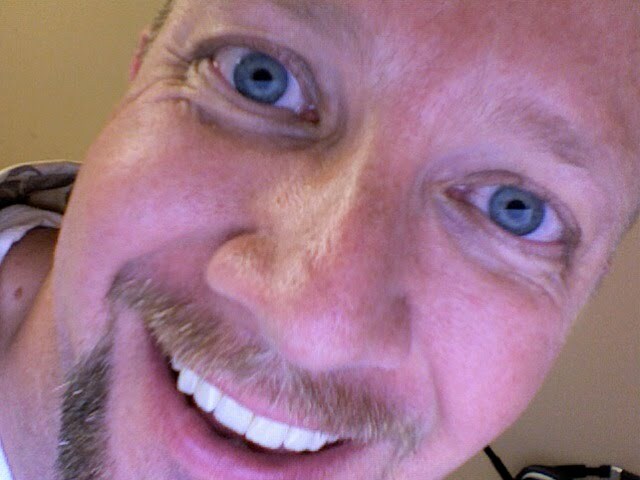 You point your cell cam at the code and snap a shot. The software scans the code and takes an action based on the code. It could return an SMS, or take you to a URL. Sure GPS is cool but I think this has more real applications that are a LOT cheaper to implement...at least for now. 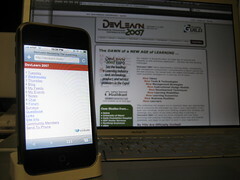 In my last post I have a link to the DevLearn2007-PocketGuide. Well I created a new version that has a QR code on the inside. Download it and show me that it works at the conference and you'll win a FREE pdf copy of the Mobile Learning Report. There are many things we can try and I will not list them all here, but you can catch me at the conference hanging out in the Serious Games Zone if you want to check it out. I'll also be leading a Breakfast Byte discussion about the iPhone and we will be discussing the possibilities in that forum as well. Its almost show time! See ya there! You may like to check out more information about QR codes and wink site on my friend Leonard Low's mlearning site. Have you downloaded NeoReader/Lavasphere yet? Lavasphere is a key component of Glass. I'm getting lots of great tips and URLs. THANKS! I found most of these during my early searches however I use an iPhone. Is there anything that works with the iPHone for QR codes? Well this is exactly the argument that I have with Leonard - you can't use QR codes on all devices. I have a PDA with windows mobile 5 so they are of no value to me. Much rather focus on technology that is more cross platform (ok so say that QR does work on most mobile phones so am being a bit unfair). Wish I have an iphone :( but not coming to Australia until next year.